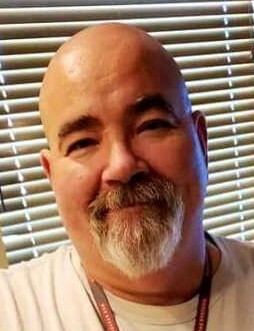 Wendell Lee Fromm, age 53, of Fort Wayne, died January 20, 2019. Wendell was born November 17, 1965 in Fort Wayne, Indiana to the late Robert Lavon Fromm, Sr. and Hazel Marie (Williams) Havlock. He was an electronics technician with BAAE and a member of the Freedom Riders. Daughter, Samantha Wright of Fort Wayne. Son, Henry Fromm of Fort Wayne. Son, Casey Hartup of Fort Wayne. Grandchildren: Phoenix Hartup, Kae-lani Blair, Dain Walker, Ezekiel “Bus” Tomcik. Sister, Teresa Caldwell-Myers of Fort Wayne. Brother, Bob and Margie Fromm of Fort Wayne. Brother, Bill and Michelle Gunder of Waterloo. Sister, Stephanie and Matt Minnick of Fort Wayne. Girlfriend, Debbie Prater of Waterloo. He was preceded in death by his son, Michael Fromm in 2001 and his brother, Sam Fromm.